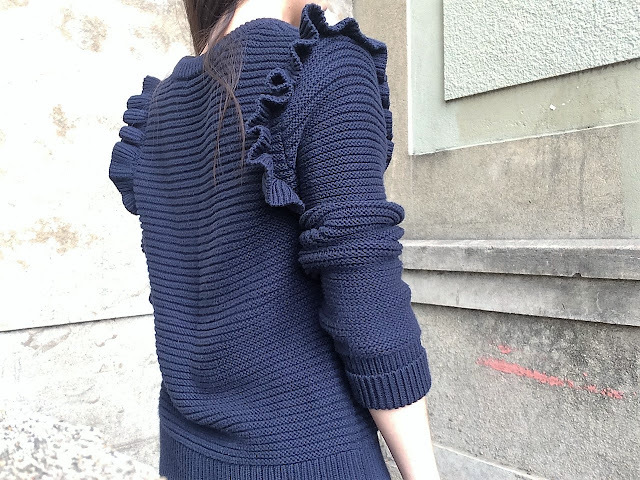 I love the romantic detail on this sweater, but it is yet another piece I owe that can't really be layered. 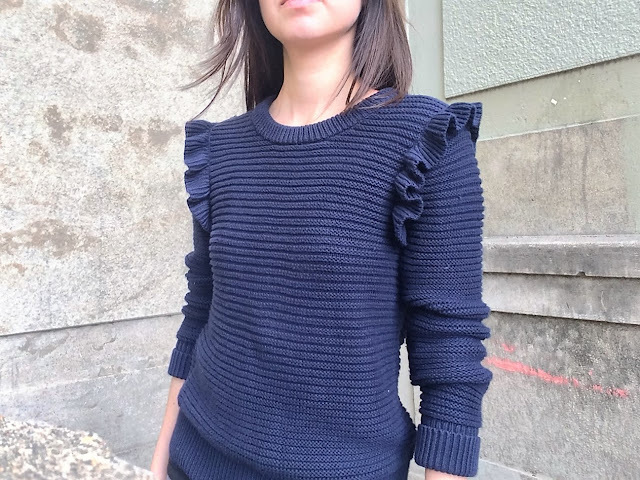 The ruffles, like the sweater itself, are made of a fairly thick material, so they create uncomfortable bunching under anything fitted in the shoulder. That being said, I love the ruffles, the color, and the feel of this sweater, so I just bide my time for appropriate weather, and then, boom, all ruffles all day. As an aside - does anyone have care recommendations for their sweaters? I think you aren't supposed to hang them because it can stretch them out, especially in the shoulders, but for one like this, if I fold it and put it in a drawer, it literally takes up a third of the drawer. 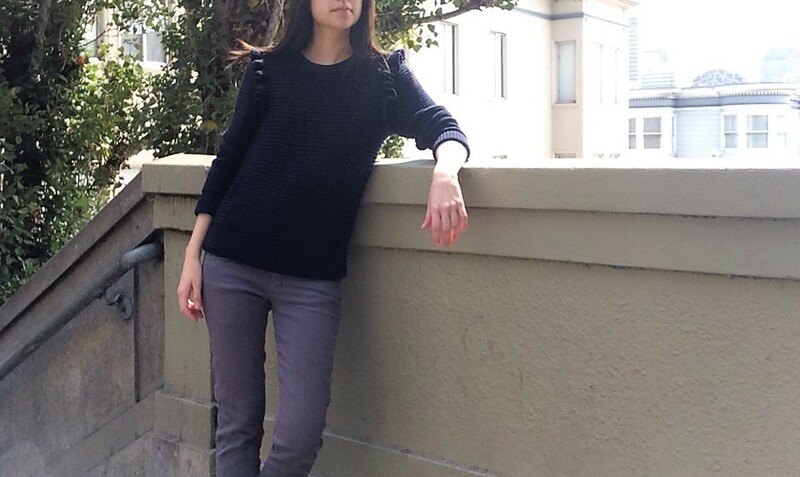 What would Marie Kondo do? Fold back the sleeves and sides of the sweater, then instead of folding it further into a square, hang it on a hanger in half.